Check out what we, and our Kung Fu family, have been up to at Montgomery County Kung Fu. Montgomery County Kung Fu will be celebrating and commemorating 7 years of authentic Moy Yat Ving Tsun in Maryland under Sifu Brad and Sifu Liz Schonhorst by having a workshop on January 5 - 6, 2018. We'll also be joined by our Sitaigung, Grandmaster Moy Tung. All current students of the Moy Tung lineage are eligible to attend. We'll also have a workshop dinner that Saturday evening. Tonight in class, our Simo instructed us to do 5-minute intervals of Chi Sau and rotate in students as we had an odd number. Check out our newly created YouTube Channel to watch a short video of the class tonight. 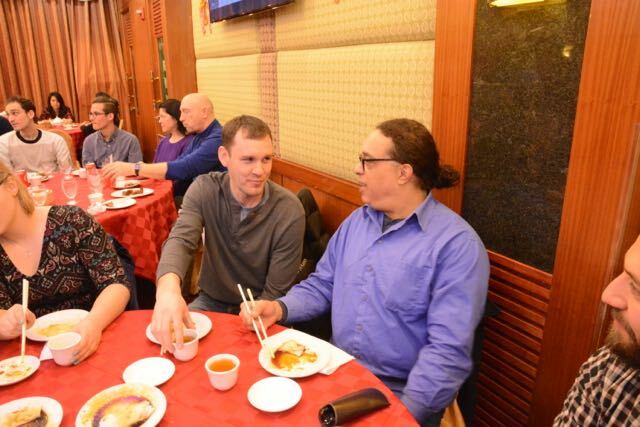 We celebrated our Sifu's birthday this past Saturday, October 22nd, with dinner, drinks, and cake. Special thank you to students who contributed to Sifu's birthday gift as well as students who could attend. Also, we'd like to thank Urban BBQ Ashburn and Ocelot Brewing Company for their hospitality, and Les Delices Bakery for the delicious cake! Our school's 5-year anniversary workshop is just around the corner! We hope to see all students and our extended Kung Fu family at our school on November 11 - 13, 2016 for some great training. Please see the flyer for some additional details. 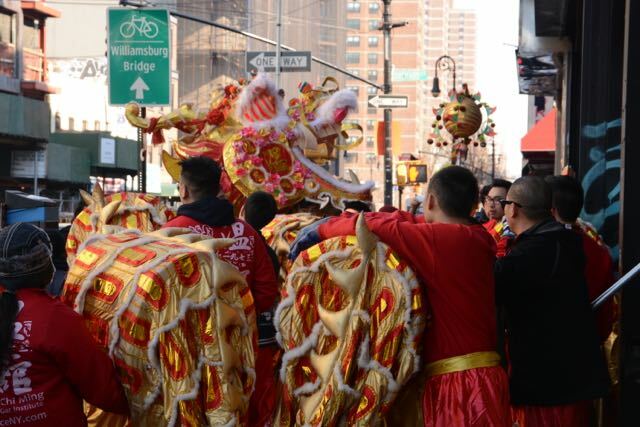 Gong Hey Fat Choy! Happy new year! This February, Montgomery County Kung Fu students participated in the Lunar New Year celebration at Lakeforest Mall in Gaithersburg. The students demonstrated kung fu training including empty hand forms, wooden dummy (Muk Yan Jong), Chi sau and self defense exercises. Following the event, we headed over to Pacifica Cafe for dinner. We rarely cancel classes but due to the snow, the school will be closed this Monday Jan 25. The Children's Program will begin Monday Feb 1, 2016. Students will learn a variety of basic martial skills, and the foundational elements of Ving Tsun Kung Fu, a unique martial art that is ideal for all body types and skill sets. There is a focus on basic principles of self-defense, discipline, and respect for oneself and others. Ving Tsun is not a belt-based system, nor are students tested to reach a new level: we teach in a traditional family style, where each student progresses as the Sifu sees fit. We often repeat many of our foundational techniques, to instill muscle memory and precision. Sifu William Moy inherited the role of Master from his father Moy Yat, who studied under the legendary Yip Man. Much of the same style of training Yip Man has passed on was taken overseas to be taught to Western students. Although he didn't start training until he naturally felt inclined at the age of ten, Shifu William Moy faced the pressure of living up to being the son of a grand master. Now his mastery is not only noticeable in his physical Kung Fu, but also in the way he lives his life. This weekend marked the 4th anniversary of the Montgomery County Kung Fu school in Gaithersburg. Students from NYC, DC, Virginia Beach, Richmond, Maine and Maryland participated in a full weekend of training. Followed by dim sum (traditional Chinese brunch) at New Fortune restaurant, a favorite spot for our kung fu family. * An in-depth study of the Jut Sau application in Don Chi Sau, Chi Sau and the Ving Tsun forms. * Ving Tsun anti-grappling applications. * Lectures from four Ving Tsun Sifus (kung fu teachers) discussing topics such as the importance of maintaining the horse stance, Ving Tsun posture, the feel of centerline and how Ving Tsun trains us to protect our openings and cut off the attacker. In October, the Maryland school will have been offering Ving Tsun training for four years in the Kentlands and we are planning a weekend seminar to mark the occasion. All students are encouraged to attend the event. There will be lots of training and chances to hang out with our kung fu family outside the school. Download a flyer about the event. This Saturday we will be doing a focused chi sau training session at the Gaithersburg school. Students will be led through training exercises focusing on chi sau fundamentals - the building blocks for advanced kung fu. On Saturday, May 30, 2015, Montgomery County Kung Fu participated in the Asian American Center of Frederick's Asian Heritage Month Celebration. Members of the kung fu school gave a demonstration of Moy Tung Ving Tsun system of martial arts. We all had a great time and look forward to the event next year. Montgomery County Kung Fu school will be participating in the upcoming Asian Heritage Month Celebration in Frederick MD. The event is on May 30th from 11 AM - 4 PM at The Quad at Frederick Community College. This is a great way for us to promote our martial art, our school and to get involved in a local community. The organization that hosts this event is expecting a turnout of about 1,000 people. This is a family event with performances and exhibition tables so those who wish to bring their family and/or friends are encouraged to do so. Take the day and spend a little time with your immediate family AND your Kung Fu family! New students interested in Ving Tsun will be offered a FREE week of Ving Tsun training during this event. The Moy Tung Kung Fu family gathered at the headquarters academy in Richmond Virginia to celebrate the 29th anniversary of the martial arts organization. Below are some pictures from the event. 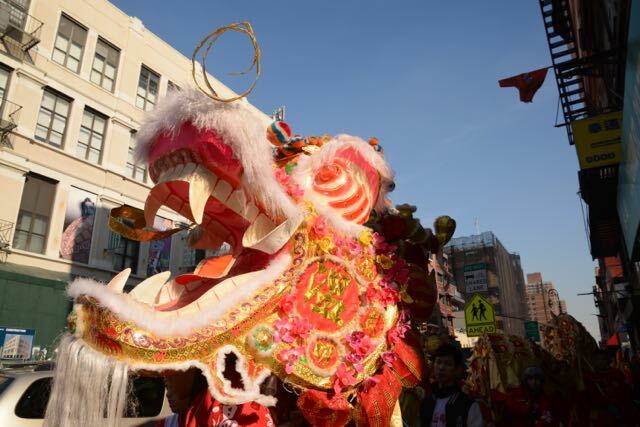 Gong Hey Fat Choy - Happy New Year! This February, Moy Tung Kung Fu students, grand students and great grand students got together to train and celebrate Chinese New Year. 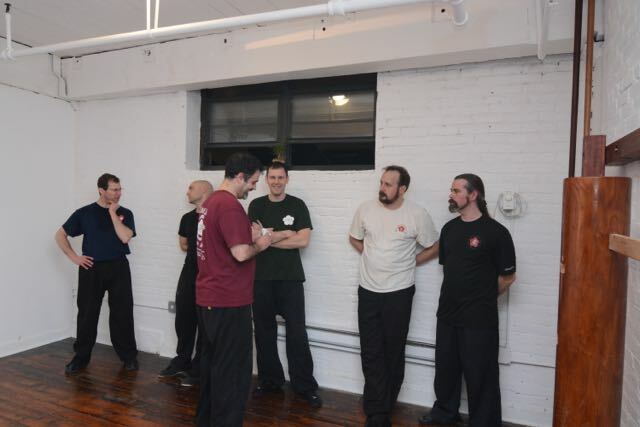 Ving Tsun training took place at both Moy Tung Kung Fu Brooklyn locations in Windsor Terrace and Greenpoint. 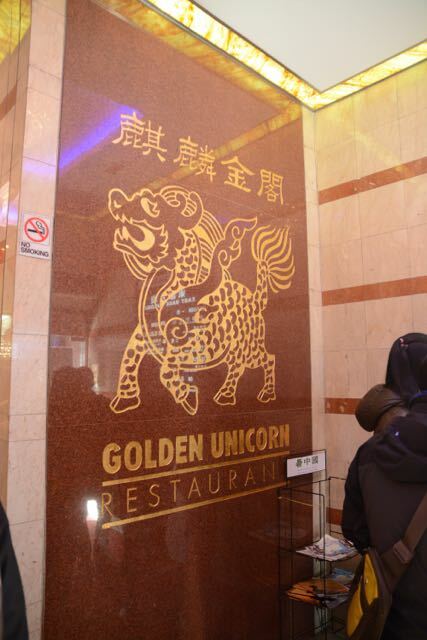 Sunday, students made their way to Chinatown in Manhattan and enjoyed a long dim sum at Golden Unicorn on E. Broadway street. This March we will be visiting the Richmond HQ school to train and celebrate 29 years of Moy Yat Ving Tsun kung fu being passed on through the Moy Tung clan. Members of the school are encouraged to attend. See the flyer for additional information. 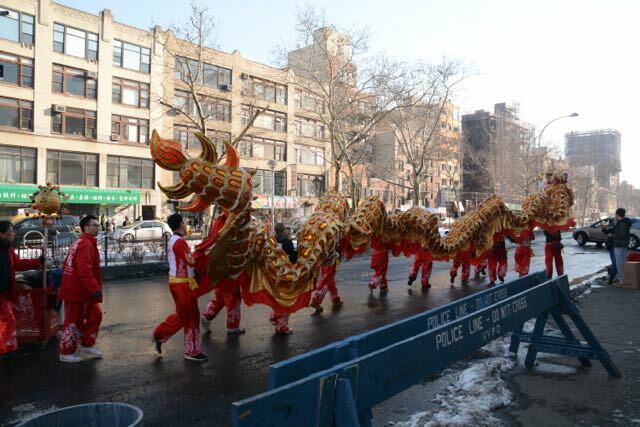 Join us for our annual celebration of the Chinese New Year at our Brooklyn, NY location. Students are encouraged to coordinate their attendance with Sifu. See the flyer for additional details. To kick off the new year, a conditioning challenge has been posted in the school. Students are encouraged to participate in the 6 week training program to help achieve fitness goals while building a strong Ving Tsun foundation. Starting in January, our Monday, Wednesday and Friday classes will now be in session from 7 to 9 PM. This additional class time will help beginning students develop foundational concepts of Ving Tsun. Advanced students can refine their kung fu or train advanced Ving Tsun in the chi sau chamber. Good luck with your training program this year!